Intensive outpatient cocaine treatment programs provide patients with the tools and resources necessary to help them cope with early sobriety. Abusing cocaine over a longer period of time results in serious physical and psychological consequences. The drug affects the heart rate, causing it to speed up and resulting in increased blood pressure. In severe cases, elevated heart rate could result in heart attack or sudden kidney failure. Users may experience an increase in body temperature and constriction of blood vessels, which could result in a stroke, seizures or respiratory failure. Cocaine users also cause severe damage to the brain’s chemistry, even after only using the drug once. Users may exhibit bizarre or extremely violent behavior. Others may experience hallucinations. Some people may experience depression, mood swings, anxiety, panic attacks or psychotic episodes. In order to stop the symptoms of abuse and addiction, intensive outpatient cocaine treatment programs are necessary. 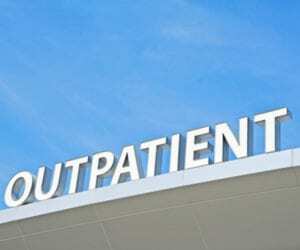 Even before a person becomes addicted, they can benefit from outpatient treatment in order to stop abusing the drug. Treatment regiments that are designed to help substance abusers who are committed to quitting and transitioning into a drug-free life can be the difference between life and death. Cocaine may not be as addictive as heroin, but continued abuse can have lasting health effects as well as the possibility of addiction. There is no bad time to stop abusing drugs or alcohol, and if you or a loved one has been using cocaine for any amount of time, drug abuse specialists are always available to go over treatment options. No one needs to try and free themselves from drug abuse on their own, and there are many different counseling, therapy and support group options for an individual to chooses to seek help from an intensive outpatient cocaine treatment program. The dramatic improvement that detox brings about often has recovering addicts convinced that they are cured. It’s important to understand, though, that there is no cure for addiction. The effects of addiction on the brain can be ling-lasting. The detox process only offers temporary relief. Patients will usually quickly relapse. Every accredited rehab program follows detox up with high-quality recovery therapy and relapse prevention.